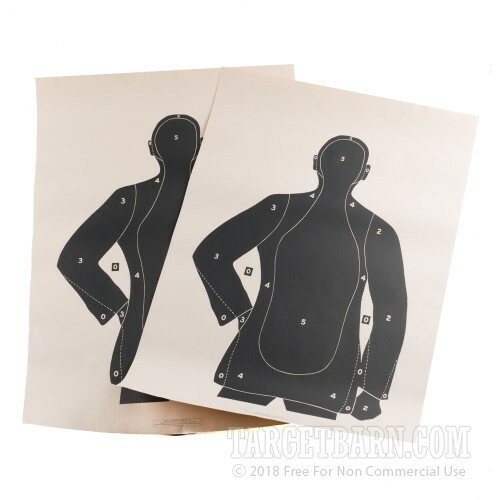 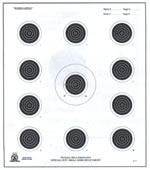 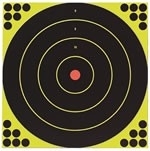 This is a non-official target intended for law enforcement training or practice. 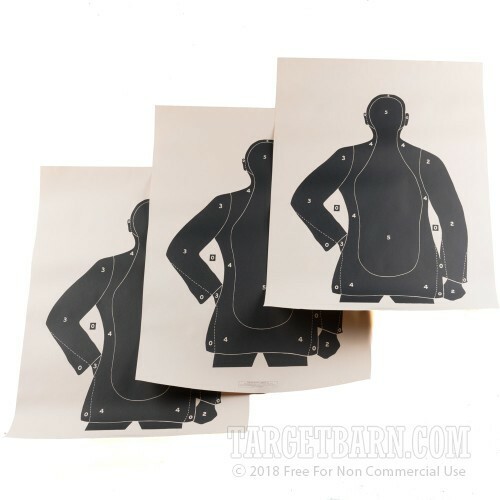 It’s a silhouette target produced on light target paper, printed with non-reflective black ink. 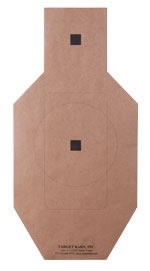 It simulates shooting a full size B-21 target, but at a reduced distance of 50 feet. 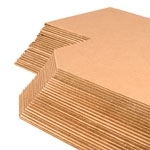 Don’t forget to order some TB Black Pasters to cover the bullet holes in these targets.